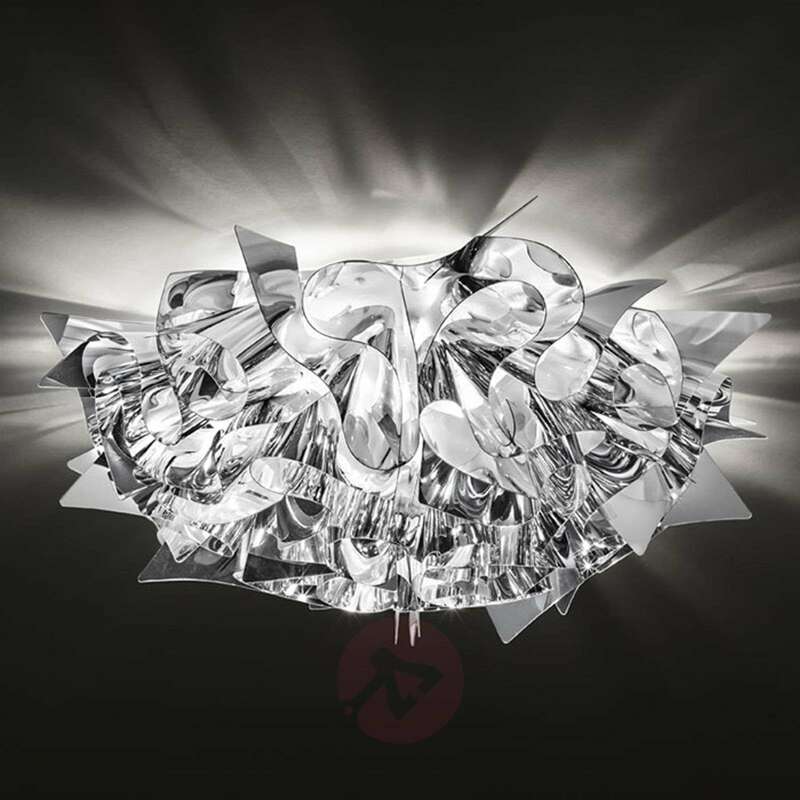 The silver Veli ceiling light combines a classic and stylish look with a modern touch, making the Veli Mini ceiling light the highlight in any stylish home. However, it does not commit itself to one particular style of furnishing. On the contrary: This ceiling light is something very special and particularly striking. Therefore it's suitable for people who want a unique home to impress every visitor. The main component of the Veli Mini ceiling light is Steelflex®. It’s a material reminiscent of high-gloss metal or silver but with a completely different elegance. 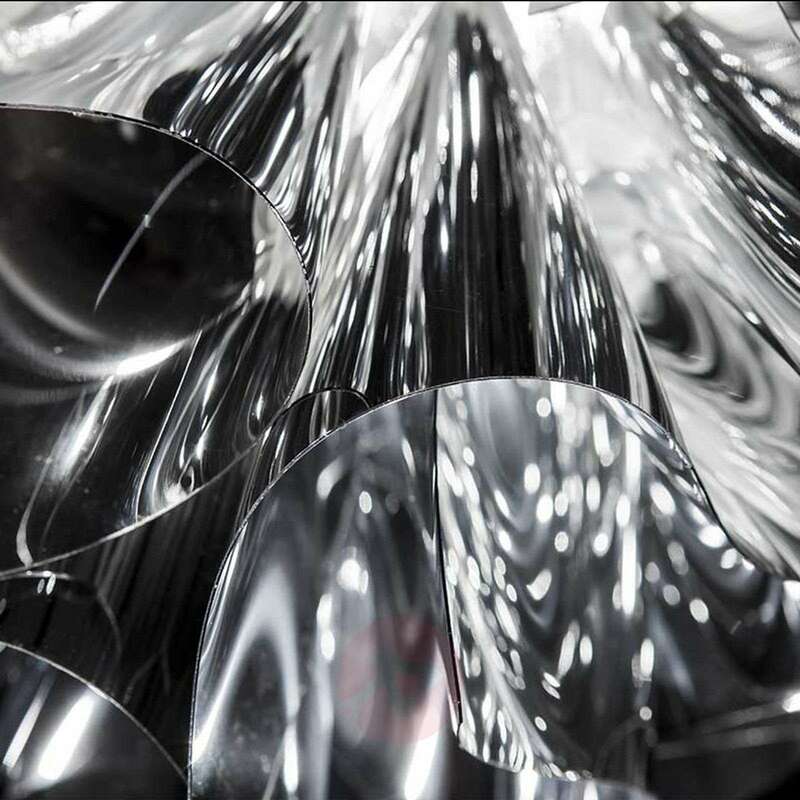 This material was developed by the designer lighting company Slamp. 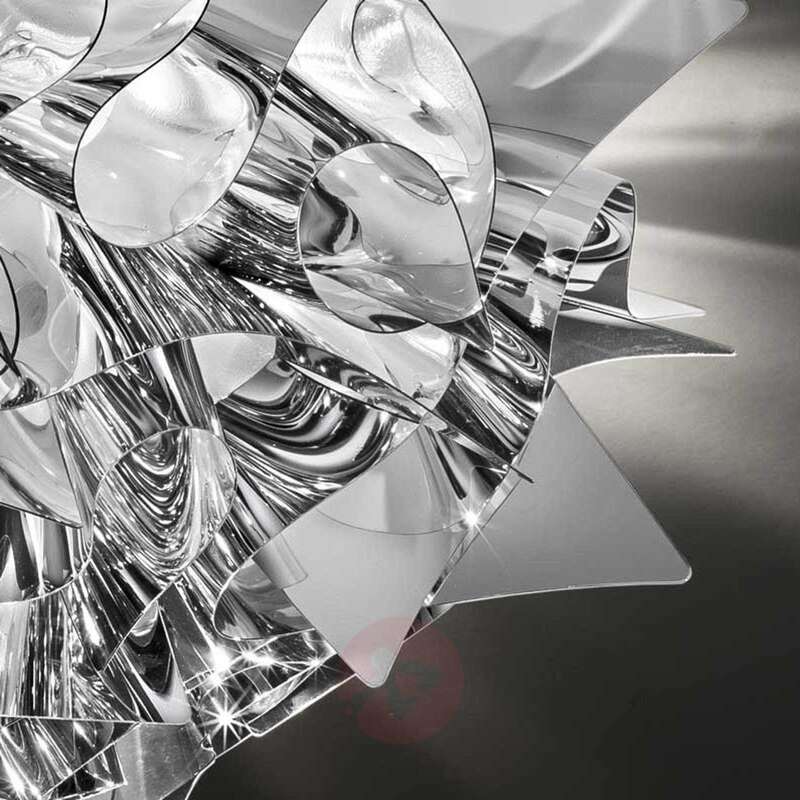 Slamp places great emphasis on developing new materials, which only it uses and which are perfect for its specially designed and manufactured lights. This is how the material Steelflex® was patented. Many individual ruffles, which resemble a bouquet of flowers, are made of Steelflex®. The light of the single 11 W bulb shines through all the individual spaces and reflects fabulously inside the Steelflex®. 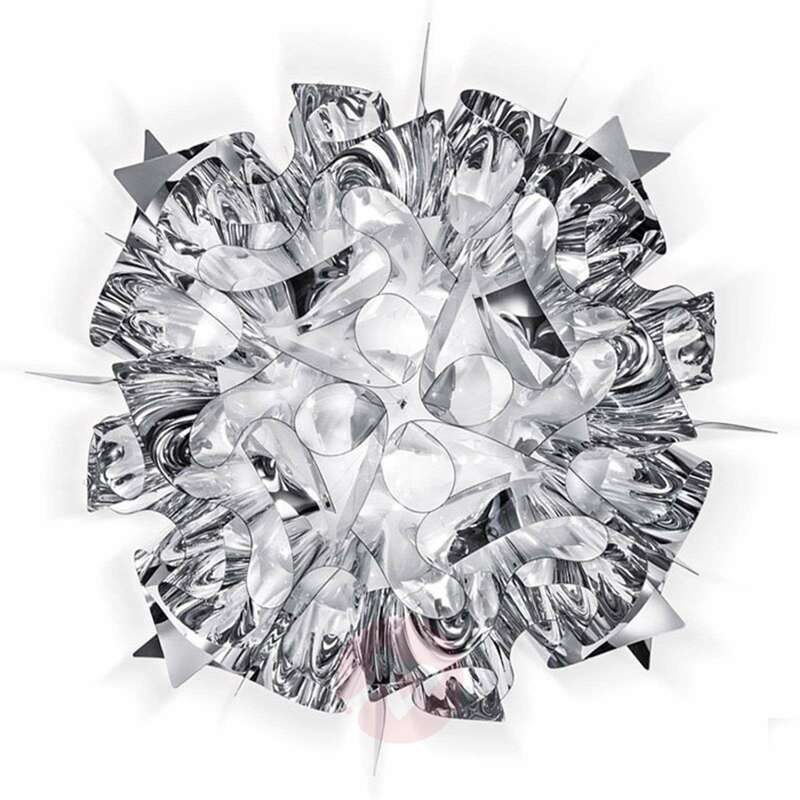 This creates light reflections that truly enchant the room. The Veli Mini ceiling light was not given its name by chance. It is particularly well-suited for small rooms. Alternatively, you can easily hang several Veli Mini ceiling lights in larger rooms. It has a height of only 15 cm and a diameter of 32 cm. It weighs 0.6 kg. So it can be easily mounted. Thanks to the magnetic system, the lampshade can be easily removed, for example, to change the bulb or for cleaning.